Later on Tuesday, 15 January, MPs will finally get the opportunity to vote on the most important issue in a generation — whether to accept the deal to leave the European Union as negotiated by Theresa May. So what are the various options and how could it play out? So far 112 Conservative MPs out of 317 have gone on record and said they will vote against the deal Mrs. May and her team of negotiators — headed by Dominic Raab, who himself later rejected the deal — brought back from Brussels in November. The 10 Democratic Unionist Party (DUP) MPs from Northern Ireland are furious at the Irish backstop — which effectively separates Ulster from the rest of the UK — and are set to vote against the deal. The Liberal Democrats — all 11 of them — are solidly against Brexit and will vote against the deal in the hope of sabotaging Britain's departure from the European Union. So all eyes will be on the 256 Labour MPs. Labour leader Jeremy Corbyn has rejected the deal and has ordered his MPs to do likewise, but a small group led by John Mann have said publicly they would rather Mrs. May's deal than a no-deal Brexit or abandoning Brexit. Mr. Mann has also tabled an amendment which includes workers' rights and more environmental protection. If 110 Labour MPs were to ignore their whips and vote with the government, with or without the amendment, the deal would probably sneak through Parliament with around 319 votes to 317. Britain would then proceed with Brexit, as negotiated, on March 29. Mrs. May would probably keep her job as prime minister (unless the DUP were so angry that they withdrew their support for her government) and there would be a fresh clamour for Mr. Corbyn to resign as he would have clearly lost the support of almost half the party's MPs. Mr. Corbyn however might well weather the storm if he retained the support of the party's grassroots membership. If the 112 Tory rebels stay true to their word and most Labour MPs obey the instructions of their whips then the deal is likely to be rejected, by say 387 votes to 240. Theresa May could well follow the example of her predecessor David Cameron, who resigned the day after the June 2016 referendum when he called for "new leadership" after his disastrous "Project Fear" had failed to persuade voters to stick with the EU. That would mean a Conservative leadership contest, which could drag on for weeks. Or she could soldier on. After a vote in the House of Commons on 9 January it was agreed that the government would have three working days after rejection to set out a plan of action. Mrs. May could throw out her previous position and back Britain going ahead with Brexit without a deal. That would be a stunning reversal considering her previous utterances and it would be hard to see how a no-deal Brexit would be approved by the current Parliament. Labour would almost certainly seek to profit from the government's defeat by tabling a motion of no confidence in the Conservative government. The Tories are currently only maintained in power due to the presence of 10 DUP MPs whose leader Arlene Foster agreed a "confidence and supply" agreement with the Tories in the wake of the 2017 general election. Just because they vote against her Brexit deal, does not mean the DUP would side with Labour on the no-confidence motion. Pro-Brexit, Conservative lawmaker Jacob Rees-Mogg adjusts his glasses as he speaks to the media outside the Houses of Parliament in London, Thursday, Nov. 15, 2018. But there are many pro-Brexit extremists in the Conservative Party, led by Jacob Rees-Mogg, who are sick and tired of Mrs. May and her government and could well vote with Labour in order to bring the whole lot down. It would then be up to the leader of the second biggest party in the Commons, Labour's Jeremy Corbyn, to try to form a government. That would have to be made up of a rainbow coalition of Labour (including six MPs who have resigned from the whip or been suspended or expelled, including Fiona Onasanya who is facing a possible jail sentence), Lib Dems, the SNP and Plaid Cymru but even with the support of the sole Green MP — Brighton's Caroline Lucas — that would only reach 313 and you need 320 MPs to form a majority. So unless some Tory Remainers like Anna Soubry and Kenneth Clarke decide to give their support to Labour — unlikely if Mr. Corbyn maintains his support for Brexit — it looks like a constitutional impasse would have been reached and a general election would have to be called. Britain is supposed to leave the European Union on 29 March. Is there really time for a General Election? Short campaigns have been done before. On 18 September 1974, Labour Prime Minister Harold Wilson called a general election and was returned to office 23 days later, with a wafer-thin majority of just three. Since the Fixed Term Parliaments Act was introduced in 2011 we are not really supposed to have snap elections, but Mrs. May called one in 2017 and one could be arranged for late February. The campaign would effectively be a referendum and each party would have to set out how it planned to tackle the issue of Brexit. For the Conservatives, the general election offers the nightmare scenario of a split. 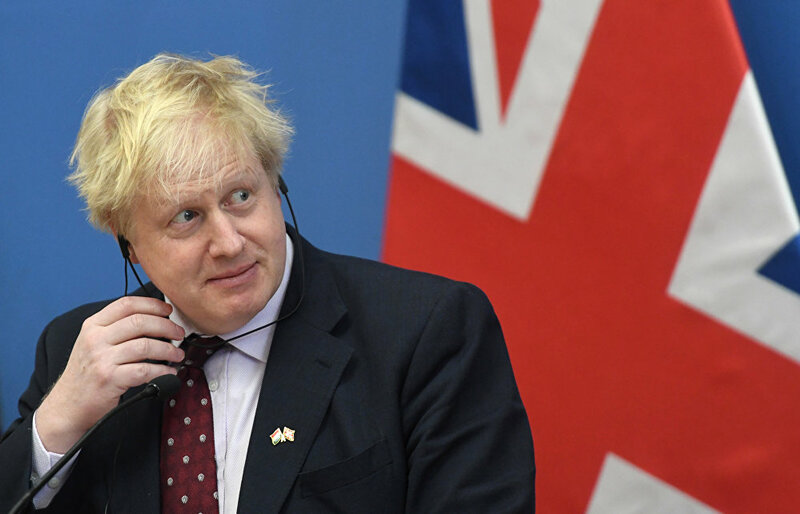 Could Rees-Mogg, Boris Johnson and the hard-Brexit wing of the party conceivably split away from the rest of the party and campaign on a no-deal Brexit? Then British Foreign Minister and leading Brexit supporter Boris Johnson gives a joint press conference with Hungary's Minister of Foreign Affairs and Trade (not in picture) following talks in Budapest on March 2, 2018. With Mrs. May gone it is hard to see which of the moderates would be prepared to lead the Tories into a campaign where they had little to offer apart from the November 2018 deal or some vague promise to gain more assurances on the Irish backstop. Despite 72 percent of Labour members backing a second referendum — a so-called People's Vote — Mr. Corbyn insists he will respect the 2016 Brexit referendum and says he will try to renegotiate it. But if the general election becomes effectively a second Brexit referendum could Labour risk being wiped out by an avalanche of Remainers switching to the Liberal Democrats or the Greens? If the government were to lose the vote in Parliament on Tuesday it could decide to put the final decision to a referendum. But calling a referendum cannot be done as quickly as calling a general election. The Electoral Commission, an independent body, has to frame the question and there is no way this could be done before March 29. So Article 50 would have to be extended to delay Britain leaving the EU. Taking it beyond May 23 would be awkward for the EU as that is the date of the next European elections and if Britain was to remain in the bloc beyond that date it would effectively be a member without any representation, which would risk enraging Brexiteers especially if laws were pushed through which were detrimental to British interests. So what would the question look like in a second referendum? The Electoral Commission would want to keep it fairly simple for voters. "Should the United Kingdom remain a member of the European Union or leave the European Union?" was the question in the 2016 referendum. So it is highly unlikely voters would be asked to delve into the Irish backstop or decide between multiple options. The easiest question to ask would be "Should the United Kingdom leave the European Union without a deal or remain in the EU?" That would mean simple — Leave and Remain options and would appeal to those who want a hard Brexit. Alternatively, they could be asked: "Should the UK leave the EU by accepting the deal agreed in November 2018, without a deal, or remain in the EU?" That would mean three options for voters — Deal, No-Deal or Remain. How Will Things Look By The End of 2019? It is hard to see how both Theresa May and Jeremy Corbyn will survive the next 11 months and remain as leaders of their parties in December 2019. Mrs. May could well go this week and the Tories could be led by Boris Johnson or even Jacob Rees-Mogg by the end of the year, both of whom would benefit if Britain ended up with a no-deal Brexit. Mr. Corbyn has never looked sure-footed on Brexit and if Britain was to crash out without a deal he could well pay the price with Remainers in the party sharpening their knives. But the Corbynista wing of the party remains strong and even if he were to go the party is unlikely to go for a Blairite. 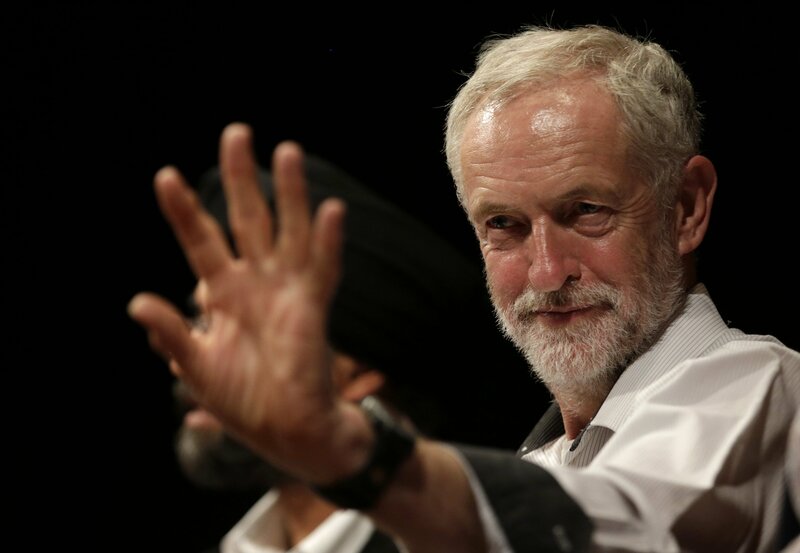 Expect Angela Rayner or Clive Lewis to be in the running as Mr. Corbyn's faithful successor.